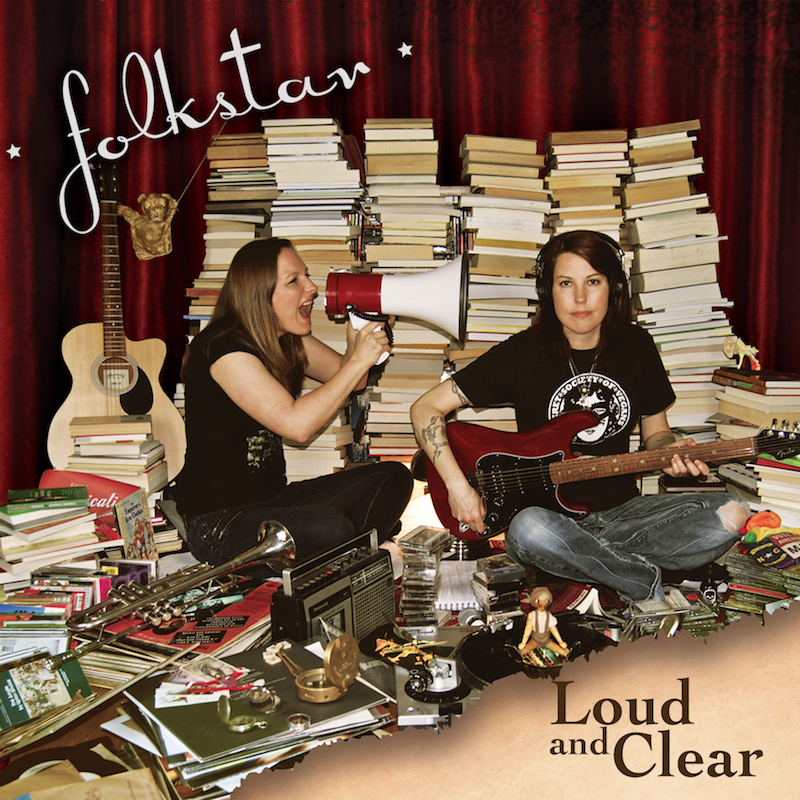 Karmic Fury Records artist Folkstar has just released their second album Loud and Clear! You can purchase it on their website or on iTunes, as well as local Wilmington retailers Gravity Records and Alman Gifts. For a sneak peek listen before you buy, visit http://folkstar.bandcamp.com. Folkstar tackles teen bullying in the song “It Gets Better” (inspired by the It Gets Better Project). They scrutinize our manufactured lives in “Fabrication” and “Everybody Knows” and expose animal exploitation in “Human” and the jazzy number “Abolitionists.” Crowd favorite “Could You Be” is an anthem about love and dreams, as is “Dream Thieves.” Songs exploring death include “Final Curtain” and “New Eyes,” which delve into the emotional complexities of losing someone. Of course there are songs about love as well, such as “Trampoline” and “Ice Queen,” reminiscent of Folkstar’s debut album Emotional Bootcamp. Finally, the title track “Loud and Clear” tells the story of Cag’s hearing loss and talks about a “wake up call,” a common theme throughout the album. Folkstar fearlessly creates music of substance. Although formed in North Carolina and labeled folk-rock, their music features a variety of influences including west coast rock, indie, blues, jazz, and of course, acoustic singer-songwriter folk and intense guitar laden rock ‘n’ roll.